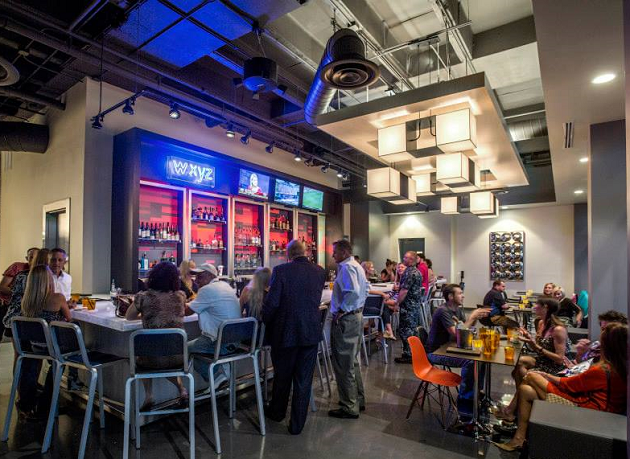 Spice up your weekend routine by heading to Aloft Tampa Downtown for Happy Hour on Fridays and Saturdays. This modern-chic hotel is the host of the best local parties in downtown. Kick back and enjoy amazing drinks and beautiful ambiance with unparalleled views of the Hillsborough River and Tampa’s idyllic historical landmark, Plant Hall. 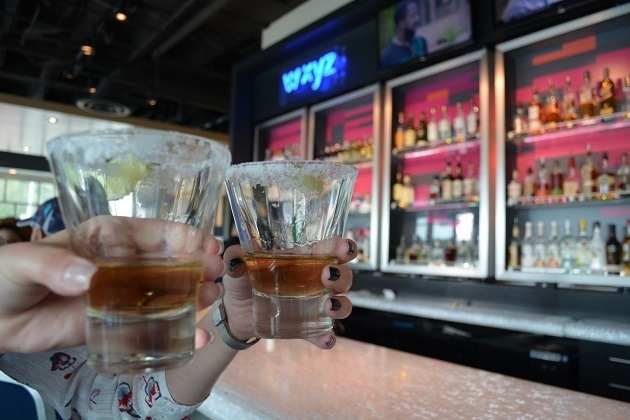 W XYZ’s Happy Hour is from 8-11 p.m. Fridays and Saturdays. 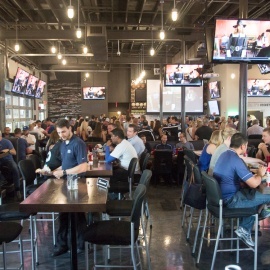 Specialty cocktails are $2 off and craft beers are $1 off and there is no public charge. Appetizer and food specials vary, but they are always accompanying drink specials and always delicious. The “Live at Aloft” series provides live music or a DJ for tunes while you sip, snack and chat. These shows are always up close. You can be as front row as you want but you’re always a VIP. You’ll hear DJs on Saturday, September 7th and 22nd, Friday the 28th and Saturday the 29th. Friday, September 14th, Saturday the 15th and Friday the 21st are live performance nights. Take your drink and snacks by the pool and relax while watching the sunset. The public is welcome to join in, though there is a $10 parking fee. The valet makes it easy right when you pull in! Situated on the Riverwalk, Aloft is steps away from the rest of downtown. Walk down the Riverwalk and enjoy the sites of the Hillsborough River, wander around Curtis Hixon Park and get Instagram worthy pictures of the University of Tampa from across the river. Or head inside and play a game of pool before admiring the modern art pieces adorning the hotel. Treat yourself to a staycation after a rough work week or host a celebration here. 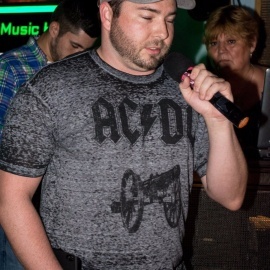 Book a few nights at the hotel and enjoy the best entertainment and classiest happy hour in Tampa two nights in a row. They've got plenty of deals throughout the month and their location is ideal for exploring Downtown Tampa! Aloft Hotel and the W XYZ Bar is located at 100 West Kennedy Boulevard. For more information, call 813.898.8000.